A DIY electronics outfit in New York is offering a prize to the first hacker to reverse engineer Microsoft's Kinect. 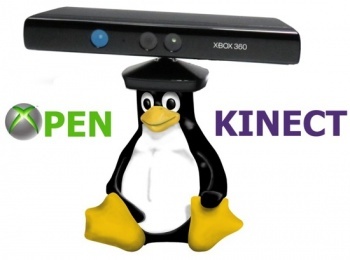 Ever since Kinect was announced, hackers and engineering nerds have been drooling over the possibilities of the technology. Being able to track motion and provide depth information would be perfect for small unmanned aircraft to avoid collisions, for example. Adafruit Industries, run by female engineer and MIT alum Limor Fried in New York City, provides kits for DIYers to cobble together their own electronics. Yesterday, Adafruit announced that it would award a $2000 prize for the first engineer to take apart a Kinect unit and figure out how to output video and a distance measurement. The first entity to upload an open source application that can perform these two tasks, as well as adequate documentation, will win the prize. The prize was originally $1000 before Adafruit read an interview with Microsoft that damned the competition. "Imagine being able to use this off the shelf camera for Xbox for Mac, Linux, Win, embedded systems, robotics, etc. We know Microsoft isn't developing this device for FIRST Robotics, but we could!" the announcement reads. "Let's reverse engineer this together, get the RGB [video] and distance out of it and make cool stuff!" Limor Fried read a post on CNET which had a quote from a Microsoft representative which frowned upon anyone trying to get at Kinect's proprietary technology. "Microsoft does not condone the modification of its products," the representative said. "With Kinect, Microsoft built in numerous hardware and software safeguards designed to reduce the chances of product tampering. Microsoft will continue to make advances in these types of safeguards and work closely with law enforcement and product safety groups to keep Kinect tamper-resistant." What did Adafruit do in response? They upped the prize from $1000 to $2000 with the following challenge to M$oft: "Don't make us up it to $3k." I think Fried means business. Now hackers, start your soldering irons ... 3 ... 2 ... 1 ... Go!